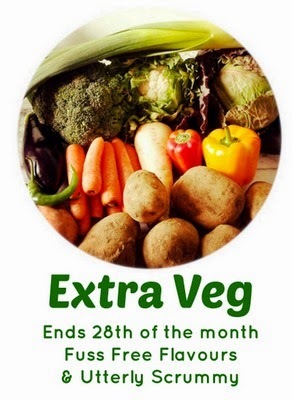 I am hosting Extra Veg again this month which is a blogging challenge created by myself and Helen from Fuss Free Flavours as a way to encourage us all to incorporate more vegetables into our meals. Many thanks to Shaheen for hosting last month, visit her blog to see the round-up. I made these delicious morsels to fill hungry tums during Half Term. They made a tasty lunch accompanied by a green salad topped with herbed natural yoghurt, tomatoes and cucumber slices. Prefect for cooking with kids, each can grate a vegetable or the cheese and take turns mixing and dolloping the mixture on trays before baking. Preheat the oven to 190C/170C Fan. Line two baking trays with non-stick baking paper. In a large bowl, whisk together the milk and egg. Add the courgette, carrot, spring onions/chives pepper and cheese. Sift over the flour. Mix well until a thick mixture forms. Spoon out portions onto the prepared oven trays. Bake for 20-25 minutes until golden brown and cooked through. These Cheese and Vegetable Puffs keep well for a couple of days when stored in an airtight container in the fridge. They also freeze well. So now it's your turn, I can't wait to see all the delicious entries you come up with this month! 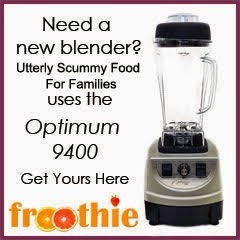 To take part, simply blog about any recipe or idea where you eat an extra portion of vegetables. Please use the logo above and link to the current host (ME!) and to Helen. Tell me about your ideas for extra veg by adding your URL to the linky below! These look so good, I'm wishing I had the right sort of veg to make some for lunch. But these are definitely now on my radar. I'm sure you could use most veg finely diced Choclette :) Let me know how you like them if you make them. Mmm I'm going to try these they look delicious. Thanks Linda :) Let me know how you like them if you make them. Lovely - like a baked fritter. Adding it to The Food Blog Diary now and they look scrum! Great idea for a linky Michelle! I hope you will like my 'pasta' fakeway dish! I'm all linked up- thanks for hosting!